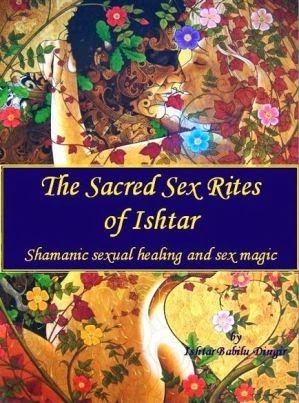 Ishtar Babilu Dingir wrote a very important book. Not because it is in some way groundbreaking but foremostly because it shows the way towards opening yourself to new paths of understanding the course of humanity and the power of intimacy. She leads us into different parts of forgotten or falsified parts of human history, especially the one connected with Babylon which was demonised over the centuries. The steady historical and anthropological references are not merely used to support the opinions but build another way of looking at the world of values and interpersonal relations where intimacy is basically an alchemical priority of things to come on the path of an individual shaman, person relating to inner blossom, extracting the very essence of the teachings which once were myths built on literal understanding of very elusive and metaphorically put truths. How can one transpose her/his personal experience into something sacred? The author gives plenty of practical exercises to find connection within our own inner circle of energy but also gracefully connects it with how to regain it on a mental state of consciousness. The more convincing it is as it goes deeper but not too far. The rest is what we have to discover ourselves. The inner epiphany prevailing over inner myths.